I live in Southern California, and while we may not have nearly as cold of weather as the rest of the country, there have been a few days recently that have been pretty chilly. It didn't help that our entire family was sick on and off for the better part of last month. For us, January was all about staying warm and cozy and trying to get well! That brings me to my point... 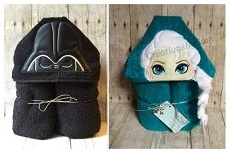 I was recently asked to partner with Parachute Home to bring you my cozy day must-haves. Parachute Home is a wonderful new brand that features high quality bedding at a more reasonable price than its competitors. The bedding is all made in Italy, and is of the highest quality Egyptian cotton. Who doesn't love affordable luxuries, because I do! And, when it comes to comfort and a good night's sleep, even better! These days, I will take all the help I can get in the sleep department. Ultra-soft blanket: I love blankets, and this Threshold Microplush Blanket is one of my favorites because it is huge and you can cuddle up with someone under it and still have room to spare. I use mine every morning when I cuddle up with Henley, have my coffee, and read her favorite books to her. Coffee: Not just any coffee...coffee with peppermint mocha creamer and peppermint whipped cream. My favorite way to drink coffee, complete with my Monogrammed Mug from Anthropologie. Cute and Comfy Sweats: My absolute favorite sweatpants ever are Victoria Secret PINK Boyfriend Pants. They are so soft, baggy, and comfortable that I wear them almost every night. As soon as Henley goes to bed, I pull these on to catch up on my T.V. shows, not to mention that I live in them during the winter. Popcorn and a Movie: For Christmas, we got a Waring Deluxe Popcorn Maker and we use it at least once a week. I was skeptical at first (because really, do we have room for another big appliance?) but fresh popped popcorn really is so much better (and better for you) than the microwavable kind...I love it! Add a movie or favorite show to go along with the popcorn and it's the perfect cozy day activity. Cozy Bedding: At the end of the day, I can't wait to lay down and snuggle up in my bed. I used to go on vacation and revel in the big, comfy beds that I would stay in, until we bought our bed and bedding. Now, when we go away, I can't wait to get back to my own bed at home! That's where Parachute Home comes in: their signature set, The Venice, consists of a fitted sheet, duvet, and pillowcases. It is made of 100% Egyptian cotton and stonewashed for a soft, lived-in feel. 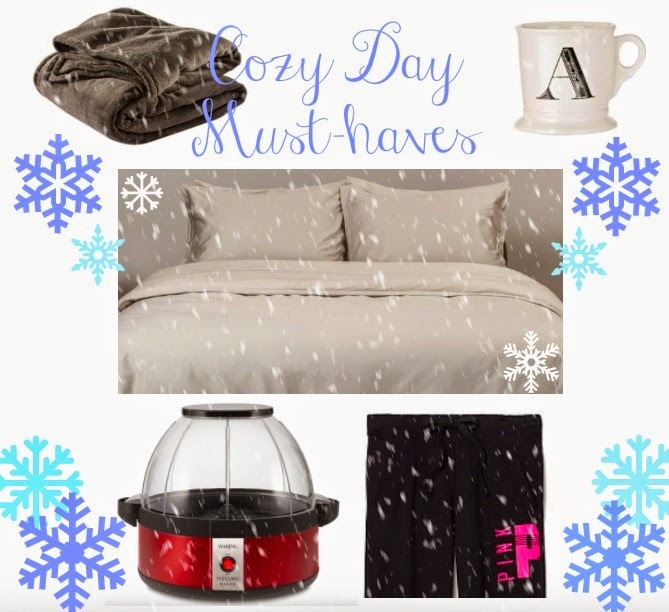 There you have it, my cozy day must-haves! What are your favorite ways to stay cozy in these winter months?